A few words to start with. This presentation of the opportunities for individual touring around Belogradchik is really short in comparison to the information I have gathered for the years of exploration and interpretation, though it is not the shortest possible. I do not want to create a brochure and to try and attract everybody. In our modern times there is a lack of attention and people are intentionally predisposed to fast solutions so they can not effectively concentrate on problems and ideas. They tell us: take this fast solution and run away from boredom or pain. For a shot period, of course. I believe that the area of Belogradchik deserves people who can still concentrate their minds for at least one hour and are not motivated only by the desire to run away from boredom or to look cool. Therefore, if you can read this article, you are most probably a suitable person to visit this place. The town of Belogradchik is located in the Northwest of Bulgaria, 55 km from the town of Vidin and 180 km from Sofia. Use the map to obtain more detailed information. The first mention of Belogradchik in written documets dates back to the XVth century when the town was described for taxation purposes. Then its name was Belgrad – the same as the capital of Serbia. Later on, the Ottoman empire changed the name to Belogradchik as we know it today. Belgrad literary means a white town or it may also be read as a Town of Bel. This is a typical Bulgarian name for a town and many such have been established by Bulgarians on a vast territory spreading from the Balkan peninsula to modern India – all places where ancient Bulgarians have established kingdoms and spread culture. Bulgarian traditions are closely related to an ancient Sun cult and our words for light and white contain the root бял [bial] which in their dialect forms are written as бел [bel] or бал [bal]. These are ancient names of the Sun God. While mainstream history suggests that the name Belogradchik originates from the light color of the fortress walls, the numerous remains of rock sanctuaries in the area point to the conclusion that Belogradchik was established as a Town of the Sun God. Back then in the XVth century Belogradchik was a very small town consisting of only 44 households occupied in servicing the fortress garrisons. A big push for growing up for Belogradchik became the decision to disguise here The 5th infantry regiment of Lom in the beginning of the XIX century. Later on, the communist regiment led to further growth of the town by establishing here a number of industries and by attracting the population of local villages to work in the factories, which eventually has led to drastic depopulation of the area. The most interesting part of local history dates back to tens of thousands and millions of years. Local caves and rock massives have preserved interesting and important stages of mankind’s development. The town of Belogradchik is located at the transition between the Balkan a.k.a. The Old Mountain and the Danubian plain. 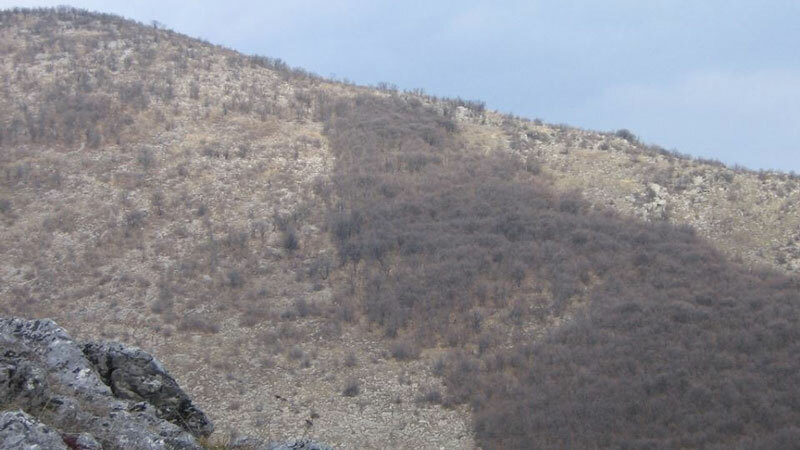 Some 500 millions of years ago one of the first uplands on the Balkans peninsula was what is now the foothills of the Balkan. These uplands were generally surrounded by seas, which crushed lots of sand and stone material from them and deposited the material on the bottom. This process ended some 230 millions of years ago and all the deposited material petrified into a thick rock plate which is nowadayс known as Belogradchik rocks. Then the seas deposited more layers ontop, the last one of which concists of limestone. Some 150 millions of years ago the Balkan started to rise up causing nearby layers to bend and break. This process created a large fault, today known as Belogradchik fault, and pushed up the sandstones and conglomerates so they appeared on the surface about 1 km higher then their height of origin. The sandstone and conglomerate plate broke into massives which over time were shaped by weather to obtain their present beautiful and wonderful shapes. The Southern wall of Belogradchik fault – an array of limestone hills, formed during the rise of the Balkan. 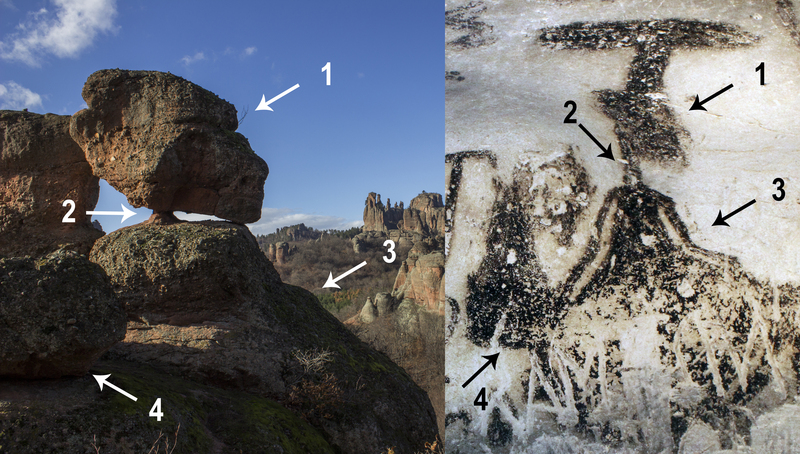 Additional researches reveal that not all of the shapes of Belogradchik rocks are natural. Local geology is very complex therefore it has created interesting and beutiful landsckapes and shapes. In the area of Belogradchik there are the Balkan, the Foothill, the Fault, Belogradchik rocks and the Danubian plain. Only a sea is missing. 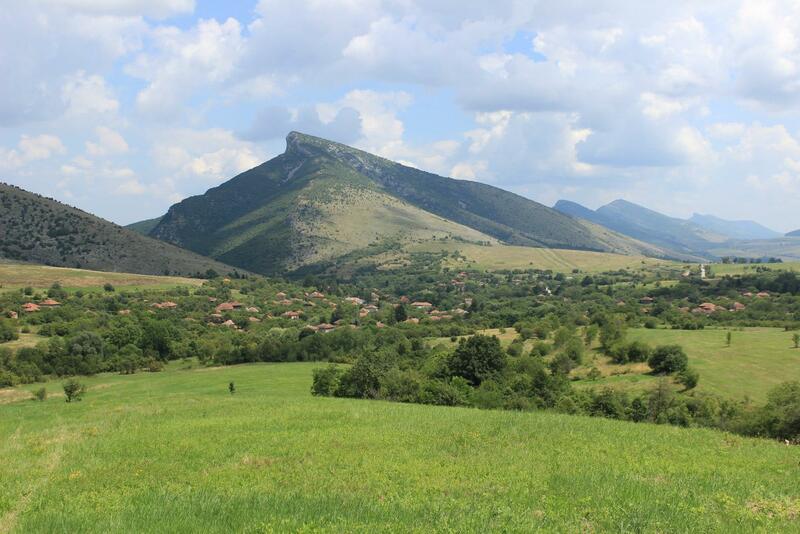 Travelling only 5-10 km in any direction from Belogradchik leads to dramatic changes in the landscapes. Layers of geomorphic zones. The closest – Belogradchik rocks, then the Southern wall of the fault followed by the foothills and the Balkan. As it was stated, nowadays Belogradchik is located at the transition between the Balkan and the Danubian plain, therefore the town sits on layers formed in the plain when it still used to be a sea bottom. The Danubian plain contains layers of sedimental rocks which are up to 2 km thick. And sedimental rocks are relatively soft and some of them like limestone are prone to chemical erosion. Because of this all the sea floor was cut by numerous underground rivers, which formed many caves, often connected in huge cave systems. The rise of the Balkan caused the plate to crack, thus exposing many caves to the surface. Therefore there are 160 explored caves in the area. Not all of them are equally attarctive and reachable, but four of them are a must. Magura cave is located 23 km from Belogradchik. Use the map for more detailed information. Magura is the largest tourist cave in Bulgaria with 2,5 km of galleries. What is most interesting about it, is found in the Gallery of the paintings. There are 712 paintings and 319 additional signs. A map of all paintings in Magura cave. 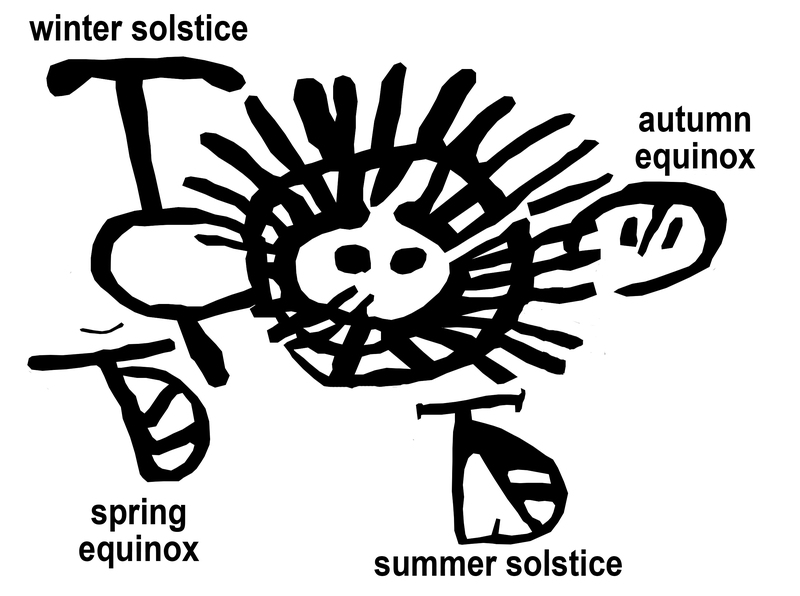 Examples of Magura cave paintings. The paint is bat guano and the paintings were refreshed in 1956 thefore today they look too fresh. Mainstream science has supplied us with a number of theories about their age, ranging from 2 500 to 12 500 years. They believe the paintings represent the everyday life and rituals of almost primitive people. Alternative researhes have shown that the pantings of Magura cave correspond to the period between 15 000 and 41 000 years ago and represent the sophisticated knowledge and philosophy of the preceding mankind. One of the most shocking scenes tells us about the main events in the history of the previous people. What seems to be just a strip or a laid down ladder is indeed an array of successive periods. They can be dated using information from the nearby scenes and the dates perfectly match real events described by both archaeology and geology for the period between 13 000 BCE and 39 000 BCE. Some of the most important features are: a sudden beginning of the history with no evolution; the arrival of a „god“ some 33 000 years ago and the start of an accelerated technological development; a dramatic event about 24 000 BCE, which almost whipes out mankind and then the „mother-goddess“ reappears; the end of that mankind around 13 000 BCE. What is very important to us today, is that the period for a mankind to live and develop is 26 000 years – one circle of the precession of the equinoxes. Our present history repeats the patterns of what has been written down in Magura cave. We can know our fate by reading the paintings of Magura cave. Once loads of important knowledge had been stored in Magura cave, it converted the cave into a library and later on – into a school. Many alphabets originate from the symbols used in Magura. 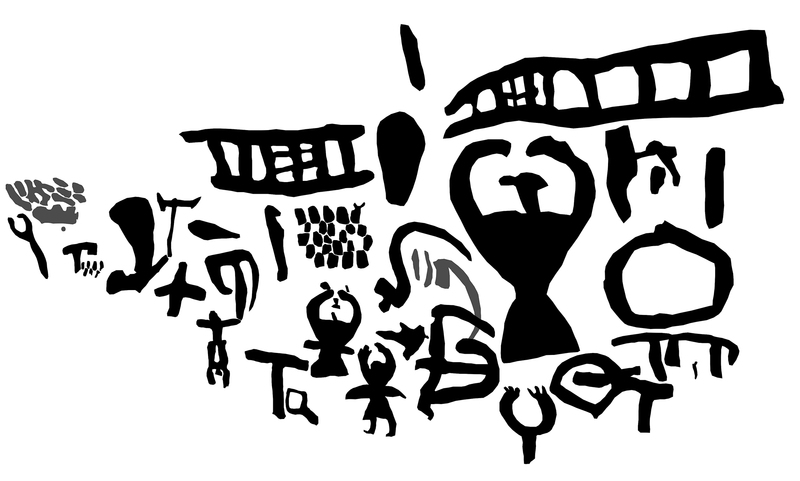 Comparisons between Magura cave symbols and various writing systems. In the period from 4 000 BCE to 3 000 BCE the knowledge of Magura school was intentionally spread all over the world and this process has left many recognizable traces. The spread of Magura name around the world. Examples of Magura symbols all over the world. The paintings state that all the knowledge comes from an entity which we may call „the mother-goddess“. The most ancient traces of her cult have been found in Europe and date back to 38 000 – 40 000 BCE – just the period Magura cave paintings state to be the beginning of the previous mankind. Much later the ideas of the mother-goddess spread across the world together with the spread of Magura knowledge. For example, figurines of the mother-goddess appear for the first time in India circa 3 500 BCE. A research in its initial stages. Red dots – the spread of Magura name. 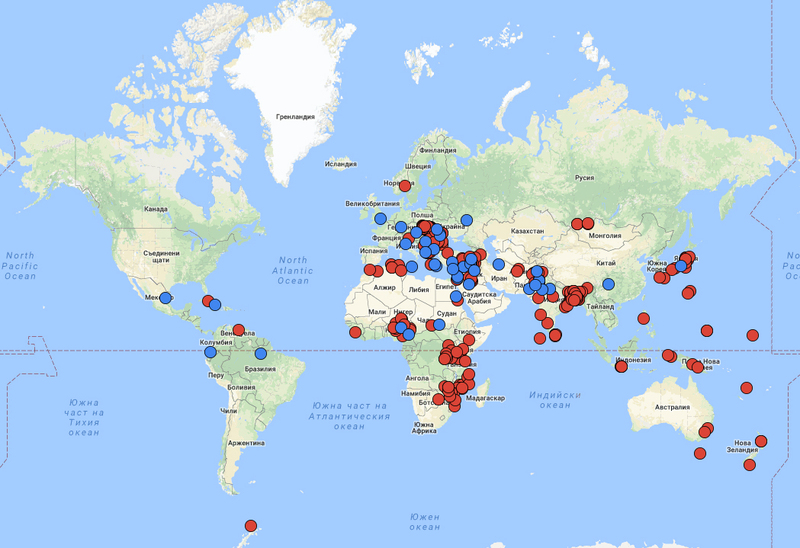 Blue dots – the spread of the ideas about the mother-goddess. The visitor has to understand that mainstream science has never done these researches and does not share these conclusions. Magura cave paintings and the very origin of that culture and philosophy originated in very close interaction with Belogradchik rocks. How and why – this will be briefly explained later in this publication. Kozarnika cave is located 7 km from the town of Belogradchik. Use the map to obtain more detailed information. It is an archaeological site and tourist visits are not completely welcome though they can be done. The archaeological excavation at this site started in 1996 and continues for one month every year. They have found human remains (Homo erectus) aging between 1,2 – 1,6 millions of years which have changed the theories of how and when human migration took place. A 1,2 millions of years old artifact from Kozarnika cave believed to contain a numeric record. Many more later artifacts have been found in the cave. The main goal of the team is to determine what the interactions between Neaderthal (local population of Europe) and Cro-Magnons (migrants from Northern Africa) used to be. Venetsa cave is located 15 km from Belogradchik. Use the map to obtain more detailed information. It is said to be the most beautiful cave in Bulgaria. Relatively small, 250 meters of galleries and halls, the cave is packed with beautiful formations. At least twelve types of them. Lepenitsa cave is located 4 km from the town of Belogradchik. Use the map to obtain more detailed information. Lepenitsa represents a very rare type of caves with two open floors one above the other. The vault of the second floor impresses with its regular shape and contains traces of artificial shaping. There are also remains from an astronomical facility. Artificial holes on the bottom wall are aligned with openings in the rocks on the opposite slope. Remains from the astronomical facility inside the cave. Only a brief archaeological survey has been done at the cave in the holes dug by treasure hunters. Artifacts from 6 000 BCE to modern times have been found, the floors of several houses inside the first floor of the cave, etc. The cave used to be inhabited and used constantly for various purposes. Most probably, the initial purpose was to serve as a temple in combination with astronomical observations. The lack of earlier artifacts may mean that Lepenitsa was artificially created around 6 000 BCE – 6 500 BCE. The cave is open is such direction that the rising sun at the winter solstice lights directly inside it. Winter solstice illumination inside Lepenitsa cave’s second floor. The mass tourist sites in the area of Belogradchik are Magura cave, Venetsa cave and Belogradchik fortress. The two caves were briefly described above. All over 2017 and so far the fee is 10 leva per person, but this may also vary over time. About Venetsa cave you have to know the following: due to the relatively small size of the cave groups of up to 30 persons are allowed to enter the cave at once. The next group waits for the one inside to get out and then it its their turn to enter. The visit of the cave lasts for about 1 hour, but waiting to enter may take a number of hours if you arrive at the cave and there already are 50-60 people before you – this will take about 2 hours of waiting to visit the cave. A way to solve this problem is to make a reservation for a certain date and hour. The fortress of Belogradchik is located just at the south-western side of the town and above it. It is visible from almost all the town. Use the map to obtain more detailed information. Most tourists, who come to Belogradchik, believe that the fortress is equal to the rocks. This is not true. The rock formations around Belogradchik spread on an area of 50 sq. km – 30 km long and up to 7 km wide. There are literaly hundreds of rock massives and thousands of rock formations all this joined together by countles forest roads, paths and trails. The fortress is situated on one of the massives. Yes, it allows the visitors to see many rock formations but is in no way equal to the rocks. Mainstream history counts the establishment of the fortress since the 3rd century of the Common era, but doet not pay attention to the earlier use of the rock massif as a sanctuary. Indeed, most „Roman“ fortifications all along Bulgaria have been constructed on the sites of previous sanctuaries. These sanctusries served as gathering points for local communities as fortresses did later. Therefore the history of Belogradchik does not start with the first fortification but with the establishment of the first local sanctuary. Pictures of ritual holes at the fortress. There are remains of ancient ritual activities on the higher surfaces of the rock massif on which the fortress is constructed. The fortress is open for visitors every day. Of course, in winter when the snow cover is deep, it is not recommended to get on the hight parts of the fortress. It opens at 9:00 and in winter works till 17:00, and in summer – till 20:00. The fee is 6 leva per person, but both working hours and fee are to be checked at the official site of Belogradchik minucipality as they may vary over time. At the fortress, one does not wait for a certain hour to enter. One arrives, pays their fee and enters. Then they can stay insde the fortress as much as they want to. Individual touring is a very special phenomenon, which can manifest in two ways. The first of them is a person or a group of people who travel and make all arrangements on their own. This leads to a great deal of freedom. The other way is to contact a local explorer/guide who is to guide a single person or a group of people around, including the mass touring sites. This reduces the freedom by a little bit as there is the need to make arrangements with the guide, but dramatically increases what you can see and learn. Both theory and practice lead to the same conclusion. About 95% of the visitors of Belogradchik visit only the fortress, Magura cave and Venetsa cave and they do not get special attention, do not learn many interesting facts. These people are mass tourists despite the fact that they may travel with their own transport. Imagine their situation – they invest money, time and efforts and get only a small portion of what is indeed available in the area. If what they get is the profit, then the return of the investments is pretty small. Only a few tens of people (less then 0.1% of the total number of visitors per year) decide to visit the area on their own, using no guides. They read articles, search for maps. They spend the same amount of money, time and efforts, but they see much more and feel much better as explorers on their own. Their return of the investments is much higher. About 5% of the visitors contact local explorers and guides like me. They have a little bit bigger expenses because of the payment for the guidance. But they do get lots of additional results. The local explorer/guide brings them to the mass turing sites and does the presentations especially for them, including facts known only to him as an explorer. Then he brings them along trails unknown to mass public and to sites and rock formations seen by few. He knows what there is, he knows how to present it, he has theories and proof. In this way the possibly highest return of the investments is achieved. As you read this article, it means you are thinking people so you know what I mean – always hire the experts to do the respective job in order to get best results. This is a map of all interesting sites and shapes I know in the area of Belogradchik – places, which I have personally explored in the last 10 years. You can use the map to navigate yourself to all of the places. The articles in this blog represent many of my findings and theories. 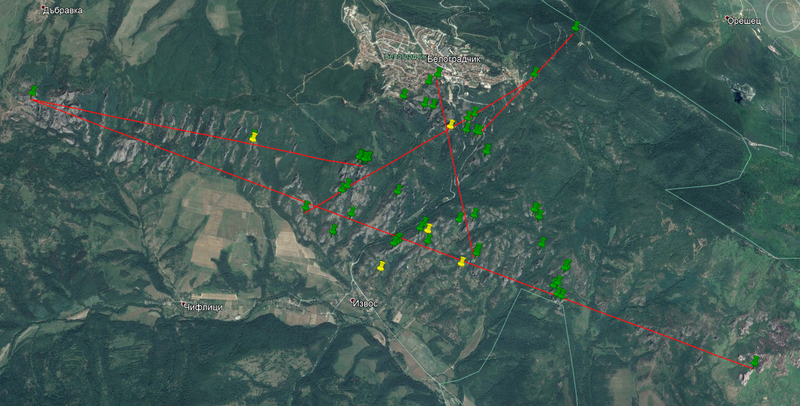 Thus the map and the blog can be a guide for Belogradchik area to anyone. 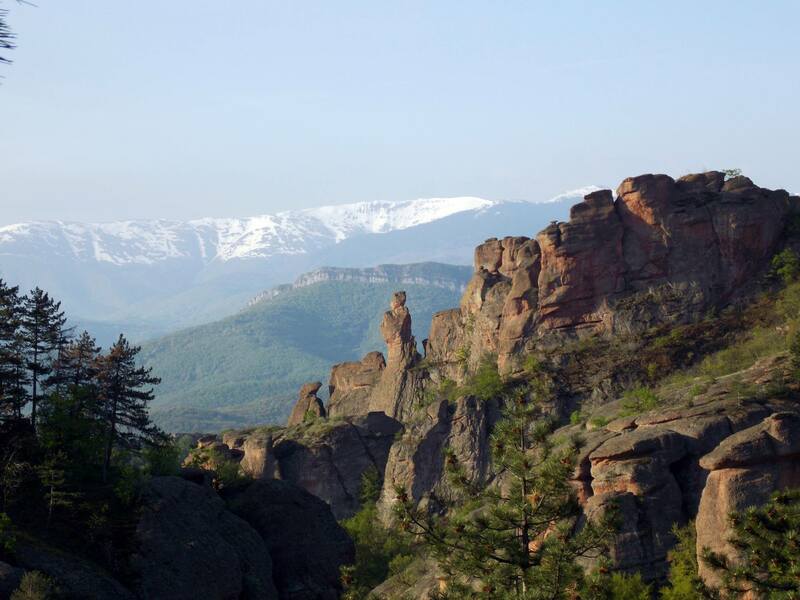 Due to the theories of mainstream science it is widely believed that Belogradchik rocks are completely naturally shaped. But many times one can encounter themes and facts that mainstream science has missed or does not want to know about. The first of them is the fact that the area of Belogradchik lies inside a huge formation with the shape of the letter Ф. 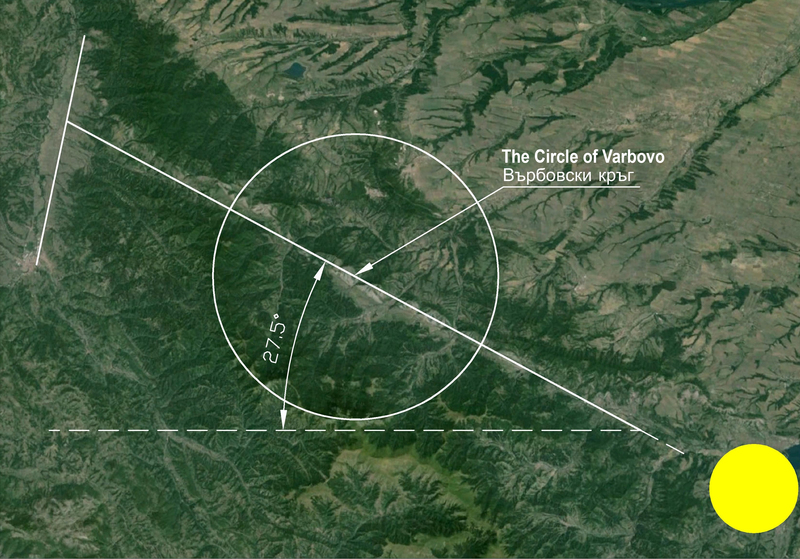 Its longitudinal axis points at 117.5° which is exactly where the Sun rises at winter solstice observed from Belogradchik. Exactly in the middle of this formation there is the Circle of Varbovo. The Circle of Varbovo has the same shape, but it is 216 folds smaller. It is a „natural“phenomenon in which vegetation changes rapidly following the configuration of something – unknown what. 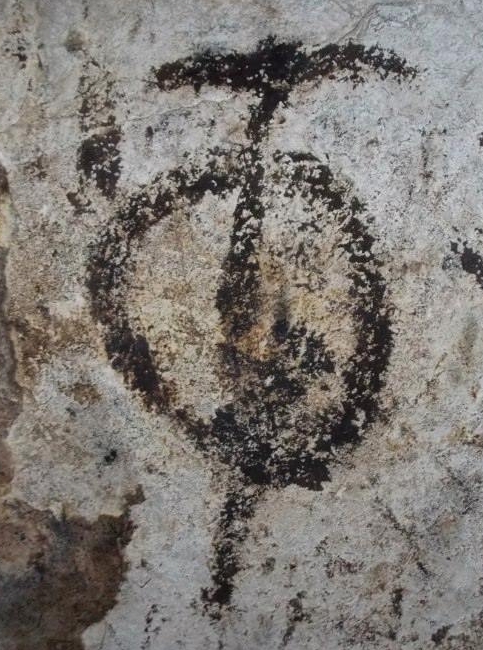 The same symbol is present in Magura cave where it derives from the shape of the Mother-Goddess. In all of the three equal symbols, the right halves of the circle are filled which is not by chance. Here painting 1 is the Mother-Goddess depicted in Magura cave. And one of the rocks around Belogradchik has exactly the same shape. Again, this is not by chance. Something more, another symbol derived from the shape of the Mother-Goddess, is used in the Solar-Lunar calendar of Magura to mark the winter solstice. In many ways it has been stated: the area of Belogradchik is the Land of the Mother-Goddess and in Magura she is represented as the Teacher of mankind – all knowledge and skills come from her. Some 40 000 to 43 000 years ago Cro-Magnons reached this area as it is visible from the map. This maches the beginning of Virgo era – the Era of the Mother-Goddess. In the beginning of her era people appeared in her land. Then something happened to those people and it was stated in Magura cave that their history started suddenly at that moment. What happened to the people, was that they recognized themselves as humans – their mind was enlightened. This happened in very close interaction with Belogradchik rocks, which according to mainstream science are completely naturally shaped. Their material is quartzite, which is crystal and can hold energy and information. As the rocks are located in the right half-circle of the Ф formation, they are in the womb of the Mother-Goddess and they play the role of the embyo. The world is being constantly born due to the shapes and information of the rocks. This is why we can see so namy human, humanoid and animal shapes in the rocks. This opening, which looks completely natural, is aligned with another rock in such a way so they point East together. Large numbers of huge rock blocks have been spread on wide areas beneath and around interesting rock formation. Near almost every interesting rock there are numerous debris – a sign that the shape has been achieved artificially. Openings, greatly eroded altars and strange rock shapes are arranger in straight lines. Rock plates with remains of ancient joints are also present. What we see now as Belogradchik rocks, is not what it was 40 000 years ago. This semi-artificial complex has undergone great destructions, some of which have been able to throw 20-40 ton blocks at 50-80 meters. Great constructive and destructive forces have met in this area. Today we see the remains of what was once able to light the spark of enlightened human mind. Due to the depopulation of the area there are not many young people here and from all the young only a few get further than the town’s square and the bars though many rocks are just around the town. Therefore only a few know the locations of the places, how to get there and what there is. In my walks and expeditions I have made a collection of thousands of pictures. Here I am showing some of them. Most of the places are accessible by walking/hiking. A smaller number of places are accessible by vehicles. When I started my research on the rock sanctuaries along Belogradchik rocks in the end of 2010, local people knew only of antique fortifications, most of them Roman. There is a list ot 27 such places around Belogradchik. At most of the places the walls have been completely destructed. Anyway, during the comunist era in the early USSR a team of scientists was gathered to clarify the history of nations. This was under the order of Stalin. They created the book „For the origin of nations“ or a similar name. The Russian empire and imperial ambitions adopted the term „Slavic“, which was created lately in the XVIIth century in Croatia. The Russian empire decided that they may force or lead all nations, speaking Slavic languages, to unite around the „big brother of Slavic people“- Russia. Thus many nations were forced to manipulate their own history in favor og the imperial ambitions. The Western world and Grece did nothing better. Therefore, during the communist era in Bulgaria, many historians and archaeologists were forced to manipulate history, to state that Bulgarians come from distant parts of Asia, that they met „a Slavic sea“ here, etc. And especially that the local ancient population of the Balkan peninsula, which many call „Thracians“ had disappeared. This lead to the need to ignore any traces of sanctuaries as they meant that a civilization used to live here before the Roman empire. Therefore, every sign of human activities along the rocks was explained with the hypothetical existance of some Roman fortification. Almost no history was allowed to exist before the Roman empire. I was lucky to have friends, who came here and showed me the signs of ancient rocks sanctuaries. Thay state the sancturies were all Thracian, but I suspect most of them are indeed much older. Once knowing a few signs, I started to explore the rocks, searching for the signs. So far I have found the remains of tens of rock sanctuaries, although I have covered only 30-40% of the total area. In the zone between the villages Falkovets and Dabravka I have covered 60% of the area, but this is onli half of the length of all rocks. Before my work there was no source of information about rock sanctuaries along Belogradchik rocks, so I have not copied it from anyone. There are many separate sanctuaries in the area which, I suggest, we should call „specific“ones. They are located on a single rock landing and contain a variable number of ritual holes, in most of the cases – up to 5-6. I suggest that they were created to utilize the specific energies of the respective landings. In many cases the specific sanctuaries appear to be parts of much larger complexes, connected with one another through systems of holes, altars and light beams. But I will talk about this later. Now I am going to give some exmaples of specific sanctuaries. This is a map, on which I have placed the ritual holes I have found. 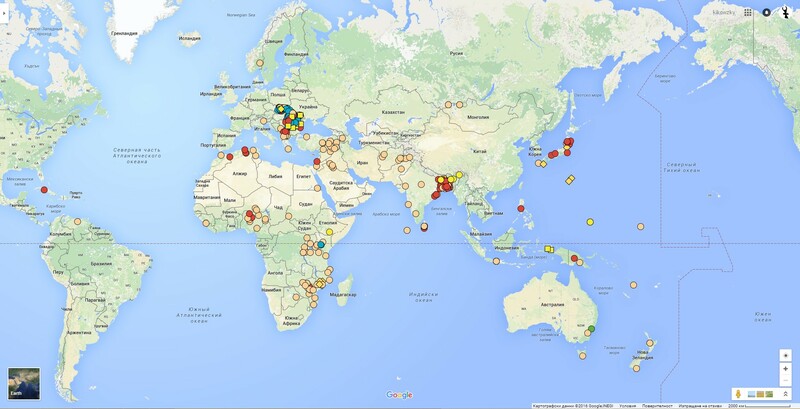 Note that the work is in progress and many more are to be placed on the map. In the beginning I didn’t map them, so at least half of what I have found is not mapped. Anyway, even with this amount it becomes obvious that there are many cases in which 3 or more ritual holes are arranged in straight line. For sure, this is done on purpose and according to a general plan. Probably this explains why many of them are located on the tops of inaccessible, high rocks. And there are many others, but I do not want to further overload this publication. I only want to add about an interesting system of sanctuaries. It all started with the finding of a round stone plate broken in two pieces. And three years later two more were found – all of them broken in the same way – obviously on purpose. Then I marked the locations on a map and it appeared to be one vertex of a figure with 27 equal sides. Soon the figure was drawn on the map. And its vertices coincided with 6 sanctuaries I already knew. Then I made expeditions to 3 more vertices and found there sanctuaries as well. Now I think that this complex really existed and it was related to Sun and Moon as they share the number 27. This number is also very important in Magura cave where many types of paintings are related to it. There are a few hotels in the region and numerous guesthouses – all of them with different conditions and capable of accomodating diferent number of people. In my researches, I am driven by my intuition, my sixth sense, my belief, my inspiration and, probably, by my invisible guides. They give me the direction to go, the ideas to check. Then I go, look around, spot what is to be spotted, I check, I collect data. After that I analize, compare and think logically. I know I suggest the existance of hidden world existing right next to us. I know that find this too strange and probably stupid. Therefore I only talk after getting enough data and proof. When I was about to complete my university education, I was thinking of staying in Sofia, working in some company and everything in its standard model and order. But my intuition told me: go back to Belogradchik, there is something great for you to do. Kiril Kirilov, born in 1984. I graduated Technical university of Sofia in 2008, master degree, then I worked for four months in Belogradchik municipality and after that I moved to FFC Construccion in Vidin where I participated in the construction of Danube bridge 2. I entered Magura for the first time in 2008 and since then I am like obsessed by it -I think almost only of its paintings. After two years of thinking I started my first blog on the topic. Later on, I created this blog – magnaaura.wordpress.com. In 2011 was the first time when readers asked me whether I could guide them around. In 2014 I made the first promotives tours. In the end of 2014 I finished the construction of the bridge and moved entirely to my researches. Since then I do only researches, publications and guidance. I have numerous interviews in newspapers, magazines, TV and radio shows, many publications in various sites. I made a number of presentations in other towns and cities after I was invited by individuals and organizations to do so. I have done several hundred live presentations on place in front of my guests. My work changes the region slowly. Step 1. Someone has learned that there are many interesting places around Belogradchik or that there is an interesting guide here. Step 2. They want to come and to be guided by me. They get my number from a friend, who has already been my guest, or get my contacts from this blog. Step 3. People call me and ask me for a certain date. The date may be free or may be already busy. We set an appropriate date. Step 4. They tell me for how long they plan to stay in Belogradchik, what they want to see or they just let me decide the program on place. They may want to organize a bigger group and they may want a written program. I do it and send it in a PDF file. Step 5. They may ask me to recommend accomodation. I do so. Step 6. At the certain day and in the certain hour I wait for my guests and welcome them. We start visiting what has been negotiated. I like to feel my activities not as work but as coming of friends whom I bring to my favorite places. I love to talk about these places. I feel the need to tell about them. When you come, you give me the opportunity to do so. And what my guests give me for what I do, helps me continue.